Part of the reason that Moriah and I started Hunt the Land is because we enjoy listening to hunting podcasts so much! We both have to drive a fair amount for work, and there are few things better than listening to others talk about hunting while on the road. I’ve even put earbuds underneath my PPE while doing TSI projects, and it greatly helps to pass the time. Listed here are a few of our favorite podcasts to check out after you’ve listened to the most recent Hunt the Land episode! Personally, Wired to Hunt was the first hunting podcast that I ever listened to, and it is still my favorite. Mark Kenyon brings on many big-name guests and asks great questions on topics ranging from conservation to hunting strategy. Dan Johnson (see below) serves as the co-host, and listening to him and Mark share stories about hunting and life is always entertaining. Aside from being a part of many Wired to Hunt episodes, Dan Johnson also hosts the Nine Finger Chronicles, which is part of his own Sportsmen’s Nation hunting podcast feed. Dan is easy to relate to and always has good stories to tell. One of my favorite features of NFC is that Dan finds little-known hunters who are skilled at killing great deer. This brings to light different strategies, particularly those for hunting public land or private parcels with permission. Adam Keith and Matt Dye are knowledgeable hunters and land managers, and their podcast Land and Legacy is part of the Sportsmen’s Nation hunting podcast feed. Each week, they dive in to topics including food plots, native habitat management, and hunting. Best of all, Adam and Matt know how to maximize diversity on the average small property, and give away many great pieces of advice to help make your hunting better. Everyone’s favorite Youtube hunting show is in on the podcast game too! While they aren’t as regular as the other podcasts listed here, all of their podcasts are full of knowledge on how to have success on public land deer. They also have guests that are not found on many other podcasts, many of whom provide different perspectives on killing tough pressured bucks. Steve Rinella is easily one of the best voices for conservation in the hunting community today, and the MeatEater podcast is one way he shares his mind on hot-button issues. His podcast focuses on hunting stories, conservation, and obviously, given the name, cooking and eating wild game. Southern Ground is a new podcast on the Sportsmen’s Nation hunting podcast feed, and Parker McDonald is the host. He and his guests hunt mostly public land in the south, and Parker has a very unique perspective given that he loves to hunt from a kayak. His big focus is hunting for the experience, which is refreshing given the big-buck craze that we live in. Another fairly new hunting podcast, the Southern Outdoorsman is hosted by Jacob Myers and Andrew Maxwell. A lot of their hunting takes place in Tennessee and Alabama, but they have guests from across the south that are able to take mature bucks. Many of their shows focus on hunting pressured public land, which makes it extremely relatable for many of us in the south. While John Dudley discusses deer hunting on many of his episodes, the main reason that I like Nock On is for John’s incredible knowledge about archery. John is a former tournament shooter with a wealth of knowledge on archery. I attribute much of my growth as a shooter this year to things I learned on the podcast. Last but certainly not least, Deer University is produced by the Mississippi State University Deer Lab. Drs. 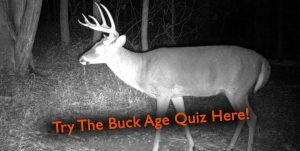 Bronson Strickland and Steve Demarais both have decades of experience researching deer, and they discuss deer biology and management topics of interest. They also occasionally have guests that bring different perspectives to the podcast. Because most of their listeners are everyday deer hunters, the Deer University podcasts make difficult management topics easy to understand so they can be applied where you hunt!